When I was thinking about writing this post I thought back to when I had my daughter and began suffering Postnatal Depression very soon after her birth seven years ago and what I wish someone had told me then when the battle with the PND fog was taking over my life and sucking all the joy out of what should have been one of the happiest times of my life. So I hope these little points will offer a little comfort and a glimmer of hope for the future. It is more common than you may realise. Maybe you haven’t suffered ill mental health before, so this experience is new to you and something you want to hide away because you worry what people will say, you fear you may be judged. It is ok to talk about it and tell someone you are struggling, it doesn’t make you a bad mum – it is an illness. Around 1 in 7 mums with suffer with a form of perinatal mental illness. There are so many other mums out there who are in a similar position or who are recovered. Have a read of some of these blogs, I hope they will help you realise you are not alone and that there will always be someone out there who you can talk to when you are having a crap day with PND. You can access peer support via the #PNDChat hashtag on twitter. I like the saying “Every day may not be good, but there is something good in every day”. I know how difficult it can be to find positives on the darkest days, I’ve been there and it doesn’t have to be a big positive it can be as simple as getting a load of washing done or going to the bathroom alone! 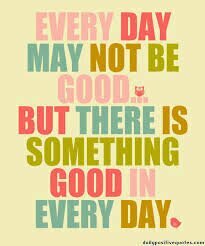 Try writing done little positives each day or nice things you have done or been told so if you are having a particularly crappy day you can read back on them and it will remind you that there is glimmers of light at the end of that tunnel even on the darkest days. When I first suffered with PND almost 7 years ago there were times I never thought I would be happy again and not have to put on a fake smile whenever I went out. I didn’t get better overnight, it takes time and slowly but surely I have got much better and you can too. It may not feel like it right now but you can get better, the days won’t always be such a struggle. You will find ways to help you recover and get the fog on PND to lift, for me therapeutic writing has been most helpful ,but some may find exercise lifts their mood. Which leads me onto my next point. Professional and Peer Support both have their plus points when you are suffering with Postnatal Depression. It is really important to seek professional help if you feel you may be suffering with PND. It will depend on your area as to what therapies are available, but things like Counselling and CBT are usually available, albeit sometimes with a big waiting list. This is where self help and peer support can help until therapies are available. A little note about Anti Depressants too, don’t be afraid of them as they can be really helpful in helping your mood lift enough to begin doing other things to help yourself feel better in the long run. I run a peer support network via twitter with the hashtag #PNDHour every Wednesday at 8pm, you may also be able to access local peer support groups in your area NETMUMS has a comprehensive list but there may also be new groups available your Health Visitor or GP may be able to point you in the right direction. When you become a mum you often tend to forget about your own needs because baby’s needs come first however it is SO important to remember to look after yourself, especially if you are suffering with Postnatal Depression. 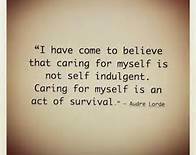 When we are given opportunities for self care we end up feeling guilty for not being with our baby! It’s a difficult thing to learn but an important part of being a mum and helping you keep hold of who you are and not just being ‘mum’ all the time. You matter too, you must make sure you look after yourself well. Try and do something nice for yourself every day, whether it’s a long shower or watching your favourite TV programme! Also don’t be afraid to ask someone you are close to help you practise self care, whether it’s watching the baby so you can have a nap or taking up a form of gentle exercise to get you out in the fresh air and releasing those happy hormones! My last point is the most important one to remind you of – YOU are an amazing mum whether you feel it or not, you are incredible. Self doubt is such a big part of motherhood but you are doing your best and that is good enough! It is the toughest job in the world let alone adding a mental illness you may be fighting right now. So please remind yourself what a good mum you are, your baby loves you very much and you are the best mum you can be. Pease remember are NEVER alone in the fight against PND. Please reach out to someone if you are struggling.